"The Eighth Amendment is about an awful lot more than terminating a pregnancy when it comes to people with disabilities." 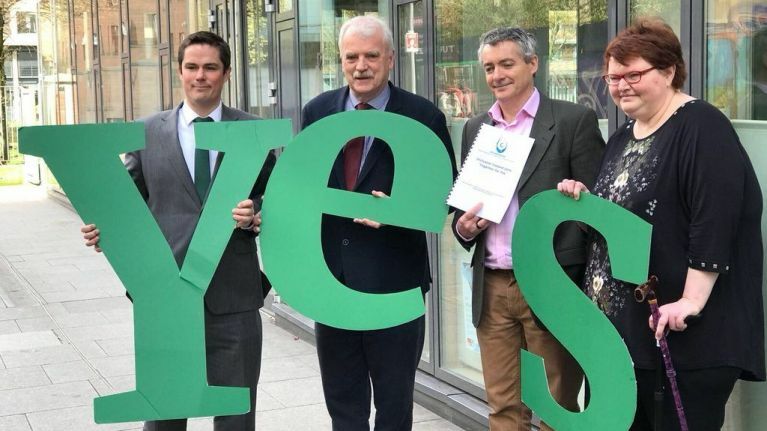 An advocacy organisation group which promotes the rights of people with an intellectual disability has backed the ‘Together For Yes’ campaign to call for a yes vote in the upcoming referendum. Inclusion Ireland has joined forces with ‘Together for Yes’ the national civil society campaign to remove the Eighth Amendment. 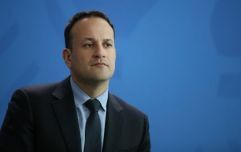 The Eighth Amendment to the Constitution discriminates against women with intellectual disabilities and those with mobility issues for whom travel to obtain an abortion is more difficult, campaigners supporting its repeal have said. The two groups hosted a joint press conference on Monday afternoon in which they both called for a yes vote in next month’s referendum. Both express the same opinion in that the Eighth Amendment creates additional barriers to those trying to access care, including inaccessible travel options for those who may need abortion services. Independent TD for Dublin Bay North and Minister of State for Disability Issues Finian McGrath said disabled people “should always be free to make decisions about their personal and private lives”. McGrath continued by saying that as a father of a daughter with an intellectual disability, he did not think it was right to “exploit” children with Down syndrome in the anti-choice campaign. Pro-life campaigners, back in January, were criticised for using images of children with Down Syndrome on anti-abortion pamphlets. Disability rights campaigner Suzy Byrne then spoke, saying that oftentimes disabled women are told not to get pregnant. "because there's nothing we can do to help you." "The Eighth Amendment is about an awful lot more than terminating a pregnancy when it comes to people with disabilities," she explained. "Then contraception may not work in certain circumstances depending on your condition - you may not be able to take medication because it may affect other medication that you have." Byrne went on to say that travelling for an abortion for physically disabled women is sometimes not an option. "The tube in London is not accessible... so there were taxis involved, a hotel involved... and the psychological impact is huge," she said. Meanwhile, anti-abortion group Save the 8th started a new online campaign this Monday entitled "12 weeks". The new campaign shows social media users a video of a scan of an unborn baby at 12 weeks gestation and asks if the unborn is deserving of constitutional rights. The video will be promoted to Facebook users over the age of 18. Save the 8th’s Niamh Ui Bhriain said of the new move: “It is important that this debate is informed and that people have access to basic information. The Government is asking us to legalise abortion for any reason up to three months. "In that context, a fully informed debate need not show graphic images, or upsetting images. But it should show, at a very basic level, what a child in the womb at that age looks like."